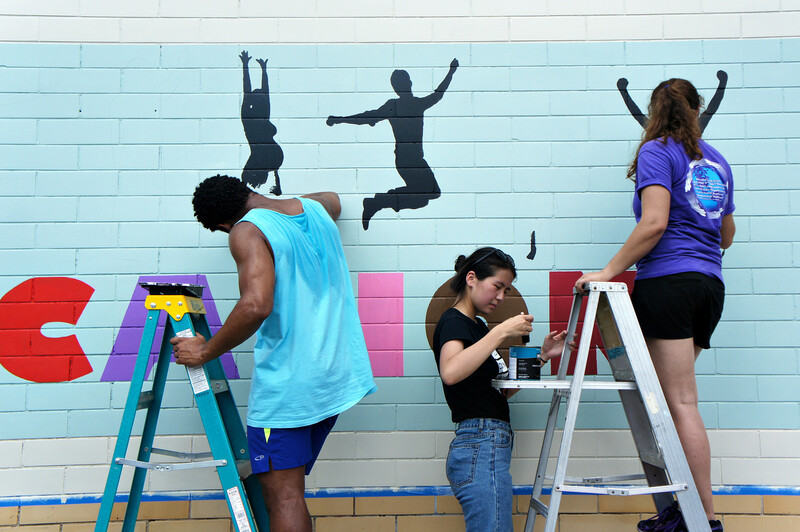 Safa Anya, sophomore, Nandin Dandar, freshman, and Sofia Valdivieso-Sinyakov, freshman, paint a mural on the outer wall of Monkey's Nest Coffee. These members of the UT Baha'i Club, inspired by alumnus Miquela Stein, seek to spread word of the #EducationIsNotACrime movement, which protests prevention of Baha'i in Iran from pursuing higher education. 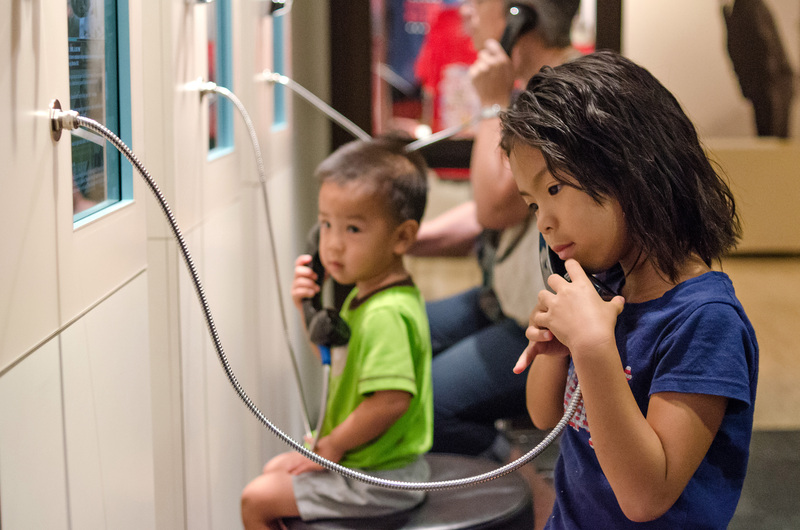 Chloe and Hayden listen to a voice recording of former President Lyndon Baines Johnson in the LBJ Presidential Library on Austin Museum Day.